Win Francis is one of Central Oregon’s leading business and real estate lawyers. He has been and still remains active in his community and with many charitable endeavors. He was on the Board of Directors and the Executive Committee of the High Desert Museum for over 20 years. Mr. Francis was a founding member of the Deschutes Basin Land Trust, served on its Board of Directors and currently is on their Advisory Board of Directors. He is also a founding member of the Tower Theater Foundation and currently sits on the Board that preserved the historic theater in downtown Bend. The theater is currently operating for the benefit of the community by renting the facility to different organizations and by presenting various artistic performances. 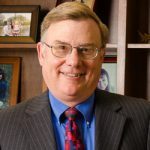 He is a member of the Board of Directors of AAA Oregon/Idaho and a member the Audit Committee and Chair of the Nominating and Governance Committee. Mr. Francis has a deep understanding of Central Oregon’s agricultural roots and has assisted clients with all aspects of farm and ranch management, including sales in excess of ten million dollars. He has been involved in extensive generational estate planning with family ranches, including business and real property valuation questions, creation of business entities, minority ownership valuation and issues raised by inter-family transfers. In addition, Mr. Francis has represented numerous developers with projects of 2,000 to 5,000 residential units with operations in Oregon, Washington, Idaho and California. He has assisted clients with entity formation, tax strategy, environmental review, homeownerassociation creation, construction contracts and long-term contracts forbuilders in various projects. Because of this experience Mr. Francis was appointed at one point to be a receiver for a significant resort in Bend during a time when the co-owners of the resort were unable to agree upon the management of the resort. 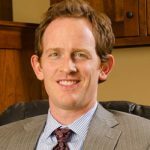 Mr. Francis has ongoing relationships with approximately twelve CPA firms in the Bend/Redmond area. He adheres to the concept that a team that includes the CPA in important decisions is beneficial and valuable for the client. He assists clients in all aspects of their estate planning needs, including the creation of wills and trusts, the formation of family business entities, the transition of family businesses, transfers of valuable real property, tax planning, and estate valuations. Win Francis is married with two children. His activities include skiing, biking, hiking, birding, fishing, hunting and travel.